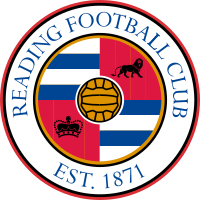 Bristol City VS Reading English League Championship live scores, odds comparison, free tips and predictions. Here we have a English League Championship match. Bristol City will play against Reading. The kick off date is Fri, 19th Apr 2019 with the match being kicked off at 11:00am UTC. The location of the match will be at Ashton Gate. Bristol City’s last match was against Aston Villa in the English League Championship. and Aston Villa won 2-1 playing at home. Bristol City’s recent form has been okay but could have won more matches. They have been scoring a lot of goals lately with a total of 10 goals scored and 8 goals conceded in their last 5 matches in all competitions. Since they have conceded over 8 goals, they really need to work on their defence or they might not get a clean sheet in this match. Reading’s last match was against Brentford in the English League Championship. and Reading won 2-1 playing at home. Reading’s recent form has been quite poor. They have a total of 7 goals scored and 7 goals conceded in their last 5 matches in all competitions. Since they have conceded over 7 goals, they really need to work on their defence or they might not get a clean sheet in this match.